Image Source: Photo Dean. Source License: CC BY-NC-ND 2.0. Housing that is within the financial means of households making 80% of the median income of an area, or less. Median income divides the income distribution into two equal parts—one-half falling below the median income, and one-half above the median. The U.S. Department of Housing and Urban Development (HUD) uses the median income for families in a specific geographic area to calculate income limits for eligibility in a variety of housing programs. Incentives to encourage workforce housing include direct financial assistance programs (e.g., state tax credits or low-interest loans) or indirect assistance (e.g., regulatory relief, including zoning changes). According to the CONNECT Our Future Comprehensive Regional Housing Strategy, there is a continued need for affordable and workforce housing in the region, including contemporary housing that is energy efficient and located near transportation options and services to reduce overall household costs. Price and location are becoming particularly important, as the percentage of households spending more than 30% of their annual income on housing increased between 2000 and 2010. When transportation costs are added to the equation (see the Center for Neighborhood Technology H+T Affordability Index), over 60% of the region’s families are spending more than 45% of their household income on housing and transportation costs combined. The strain housing and transportation place on family income impacts the quality of life for residents in communities throughout the CONNECT region, reducing their ability to pay for medical care, education, childcare, and other expenses. HUD’s Location Affordability Index (LAI) is a tool residents and policy makers throughout the communities within the CONNECT region can use to see what percentage of a family’s income within a specific geographic area is dedicated to the combined cost of housing and transportation and using a number of indicators (e.g., family size, income, number of commuters) determine what is affordable. The range of workforce housing in a community can be increased by building new housing units or through the redevelopment / upgrade of older housing units. While both approaches are appropriate in the region, the CONNECT Housing Needs Assessment found significant opportunities for rehab and redevelopment of vacant and underutilized properties. Redevelopment and rehab of older units both preserves and enhances the existing housing stock, and has the impact of efficiently using existing infrastructure to reduce the long term delivery costs of public services. Funding for workforce housing typically comes from multiple sources. There are two basic local incentives communities can use to encourage the provision or retention of affordable workforce housing in strong housing markets: direct financial assistance programs (e.g., grants, loans, tax breaks) and indirect financial assistance (e.g., zoning incentives). Successful projects often rely on innovative public private partnerships and federal funding through HUD. Conduct an assessment of existing county or municipal building codes and policies to determine if there are any unintended barriers to affordable and workforce housing. Examples include lack of zoning for mixed-use development, attached housing units, and minimum lot sizes. Create or update, as needed, the local community-based housing strategy to better understand the demand for housing at various price points. Provide ongoing education and communication with the public about local community housing needs, the benefits of workforce housing to the community, and the potential benefits (e.g., neighborhood investment, reduced housing/commuting costs, economic development). Approaches may include posting educational materials online and meeting with community groups and/or HOAs through neighborhood- or municipal-wide planning efforts. Revise policies and regulations to encourage and incentivize housing that meets the community’s needs at all price points. Housing types that could be encouraged include duplexes, townhomes, accessory dwelling units (garage apartments), other attached single-family home products, and multi-family buildings. Ensure that site and housing design are attractive and fit seamlessly in with surrounding market-rate housing. This could be achieved by utilizing a form-based zoning code overlay or design review. Adopt incentives (e.g., permit fees reduced, zoning density bonuses, floor-area-ratio (FAR) bonuses) to attract builders interested in reserving a percentage of housing for qualifying households earning less than 80% of median income. Seek out public-private partnerships with organizations (e.g., Builders of Hope, Habitat for Humanity) that would allow the municipality to target vacant housing for redevelopment and reuse. Partner with and encourage a strong, local network of nonprofit housing development organizations. Consider financial incentives (e.g., grant or low-interest loans) for nonprofit affordable housing developers to encourage development of workforce housing. Reach out to major employers (e.g., colleges, hospitals, school districts, the airport, large companies) to develop relationships and explore leveraging employers’ commitment to a variety of housing close to jobs. Potential programs include down-payment assistance from the employer for housing located in a targeted area, employer investment in workforce housing development, municipality-employer matching loans, Location Efficient Mortgages (LEM), etc. Track, monitor, and share the success of the program, e.g., number of homes rehabbed per year that are targeted for workforce housing. Image Source: Builders of Hope. Since 2006, Builders of Hope has worked to create and rebuild affordable, workforce neighborhoods by reusing existing housing inventory. The organization rescues homes that would otherwise be demolished and recycles the materials for new residential construction. The rebuilt housing is designed to be healthy and energy efficient, and is located in areas with access to jobs, services, and transportation. The organization offers both for sale and rental housing, and is a proponent of mixed-use neighborhoods. The Builders of Hope model is successful in its mission to affect multiple outcomes: providing safe and healthy affordable housing options; reusing existing materials and infrastructure; helping to revitalize neighborhoods by reducing vacancies; and providing job training in green construction and building practices. As of 2012, the organization had redeveloped 300 for sale and rental homes, while diverting over 11 million pounds of construction debris from landfills. Image Source: This Old House. The University of Kentucky, in partnership with the Samaritan Hospital and the Downtown Development Authority, kicked off the “Live Where You Work” employer-assisted housing program in 2003. 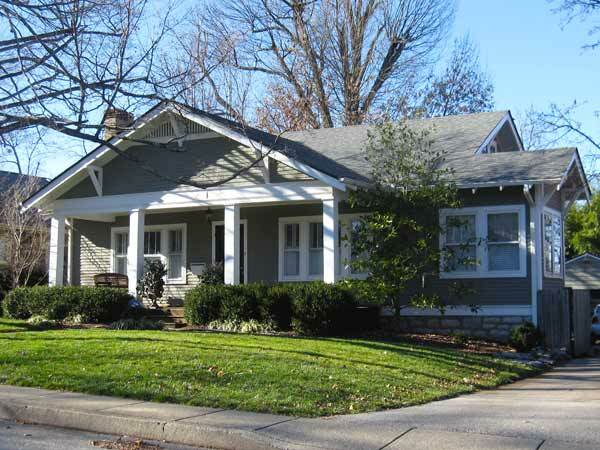 The effort is intended to increase homeownership opportunities for Lexington’s workforce through access to up to $15,000 for eligible employees, housing information and education through counseling agencies, and options for financing. The program is targeted to downtown and University areas to reduce commuting time and encourage urban infill / reinvestment. The program has been in place for over a decade and still offers forgivable loans of up to $15,000 to eligible employees for down payment, closing costs, rehab, and renovation assistance in designated neighborhood revitalization areas. The program got off to a slow start, in part due to a limited geographic area; however, many employees are now taking advantage of the loans and free housing counseling services and investing in downtown housing, located near their employers.